Born in Perth in 1983, Rebecca Baumann has enjoyed a swift career trajectory over the past decade. With works represented throughout top Australasian museum collections and a vast amount of residencies awarded in New York, India, Berlin, Dunedin and most recently Finland. Baumann's work attracts strong curatorial attention and was included in such important exhibitions as Untitled (exploded view), Dunedin Public Art Gallery 2017; Set in Motion, Govett Brewster Art Gallery 2016; WA Focus - Rebecca Baumann, Art Gallery of Western Australia, Perth 2016; New Romance, MCA, Seoul, South Korea, 2015; Here & Now 15, Lawrence Wilson Art Gallery, Perth, 2015; Encounters, curated by Yuko Hasegawa, Art Basel Hong Kong 2014; Everyday Magic, Gallery of Modern Art, Brisbane, 2013; Contemporary Australia, Women, Queensland Art Gallery/GOMA, Brisbane, 2012; Primavera, Museum of Contemporary Art Sydney, 2011 and NEW11, Australian Centre for Contemporary Art, Melbourne, 2011. Arguably her most well-known work and part of the MCA collection, Automated Colour Field (2011), is a kinetic sculpture consisting of a vast wall-mounted grid of 100 flip-clocks, each with their numbered panels replaced by paper cards in a variety of colours. The battery-operated clocks keep their own time, turning the paper cards on the minute and the hour, to create a kaleidoscopic field of colour. 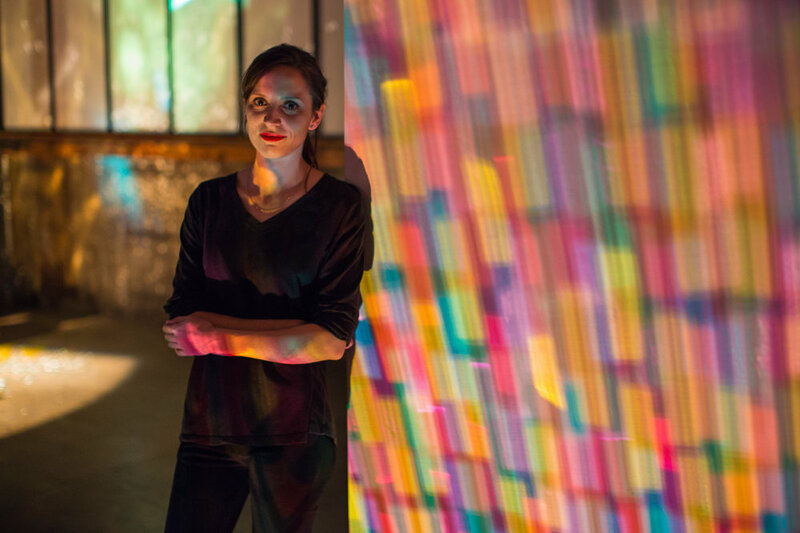 Baumann links the continually changing arrangements of colour generated by the flip-clocks to the fluctuating spectrum of emotions people experience over any 24-hour period. Her critically acclaimed 2010 work, Improvised Smoke Device, is an event-based work inspired by Indian Festival of Colour. Featuring twenty-five canisters exploding in intense plumes of smoke, it is a transitory work that elicits shifting intensities of emotion, underlining the human pursuit for joy and its elusive presence in our lives. Highlighting our relationship between colour, sound and movement in the construction of celebratory moments. Leigh Robb, Curator at Perth Institute of Contemporary Art, described Baumann's work as an "elegant pursuit of implausible ideas".